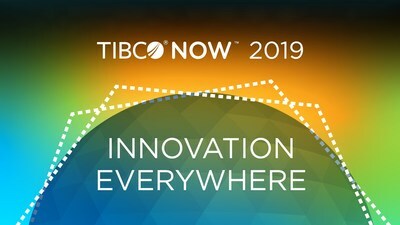 SINGAPORE, April 1, 2019 /PRNewswire/ -- TIBCO Software Inc., a global leader in integration, API management, and analytics, today announced its TIBCO NOW™ conference, scheduled for 3-4 April, 2019 at the Marina Bay Sands in Singapore, is sold out. The event brings together some of the most innovative companies in Asia-Pacific to highlight the emerging technologies and data-driven mindset that help digitally transform businesses. As organizations around the globe continue to evolve in the digital realm, this TIBCO NOW conference explores how those businesses can succeed by innovating everywhere. Thought leaders from the region and TIBCO executives come together to share best practices for digitally minded enterprises during the two-day event. The user conference will feature insightful keynotes and a variety of breakout sessions, educating audience members on fueling innovation with digital transformation in every stage of business processes, and demonstrating how customers can take advantage of the TIBCO® Connected Intelligence Cloud platform. Attendees will learn directly from TIBCO customers, such as DBS Bank, and partners, including Microsoft and Infosys, and more. The event will also provide numerous networking opportunities, with a record number of sponsors at this regional conference. The TIBCO Trailblazer Awards will be preented at the conference, highlighting four exceptional companies that incorporate TIBCO technology and innovation in their business strategies.